Former Dynasty star Kate O'Mara has died at the age of 74. She was best known for playing Alexis Colby's scheming sister Cassandra "Caress" Morrell in the US soap in the mid-1980s, along with roles in Doctor Who, Howards' Way and Triangle. Joan Collins has paid tribute on Twitter to her Dynasty co-star Kate O'Mara, who has died at the age of 74. Last year, which was Doctor Who's 50th anniversary, Kate O'Mara said she would love to reprise her role as The Rani. O'Mara told the Huffington Post: "I'd love to come back as The Rani another time around. "To have a much older woman as your adversary, there's something interesting about that." Actress Kate O'Mara, who has died aged 74, appeared on stage and screen in variety of roles - from Rani opposite Sylvester McCoy's Doctor Who to Marlene Dietrich. 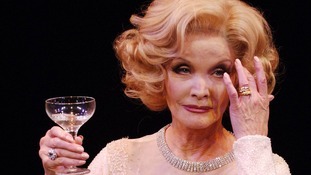 Kate O'Mara's agent said "a shining star has gone out" as he announced she has died aged 74. She was extraordinary, she had so much energy and vitality with a love for theatre and acting. A shining star has gone out and Kate will be dearly missed by all who knew and have worked with her. There will be a private funeral and a memorial service on a date to be confirmed later, Mr Belfield added. Former Dynasty star Kate O'Mara has died at the age of 74, her agent announced. The actress was best known for playing Alexis Colby's scheming sister Cassandra "Caress" Morrell in the US soap in the mid-1980s, along with roles in British series Doctor Who, Howards' Way and Triangle. Her agent Phil Belfield said she died this morning in a Sussex nursing home after a short illness.